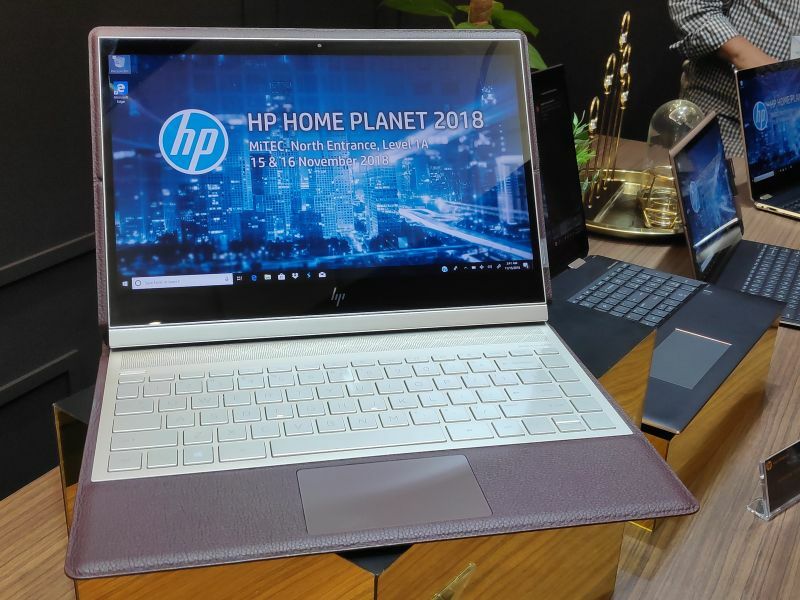 Earlier this week, HP showcased the Spectre Folio. A convertible notebook built through a unique combination of leather and aluminium / magnesium alloy. To be fair, the Spectre Folio had actually made its debut nearly a month prior. It's a notebook breaks the ubiquitous, all-metal design template that has become the norm for all notebook manufacturers. One feature of the Folio that stands out is the convertible 13.3-inch display that seems to sit quite firmly on a vertical swivel. 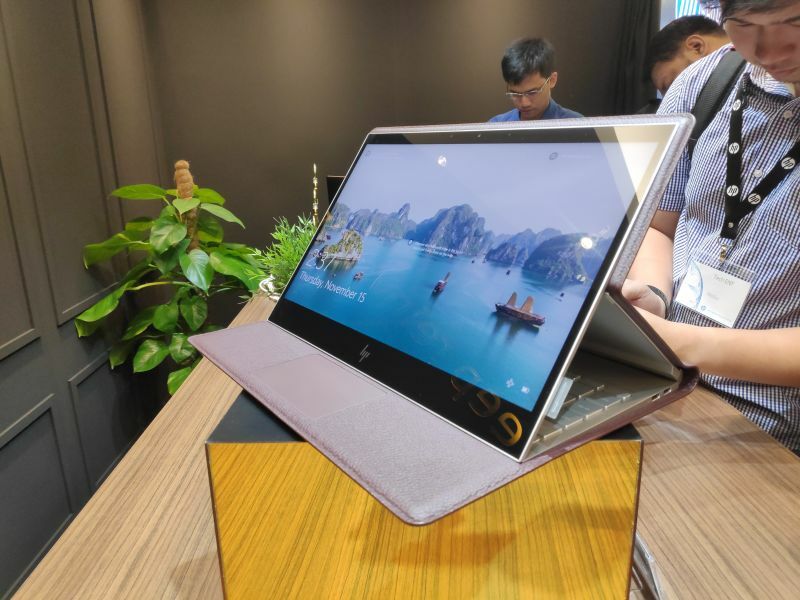 As you would expect, the hinges allow the Folio to transform between a typical notebook mode; a tent mode in which users can bring the screen forward and over the keyboard; and a tablet mode that essentially gives users a chance to get creative. On the latter note, the Folio also comes with a HP Digital Pen, which features 4096 level of sensitivity. 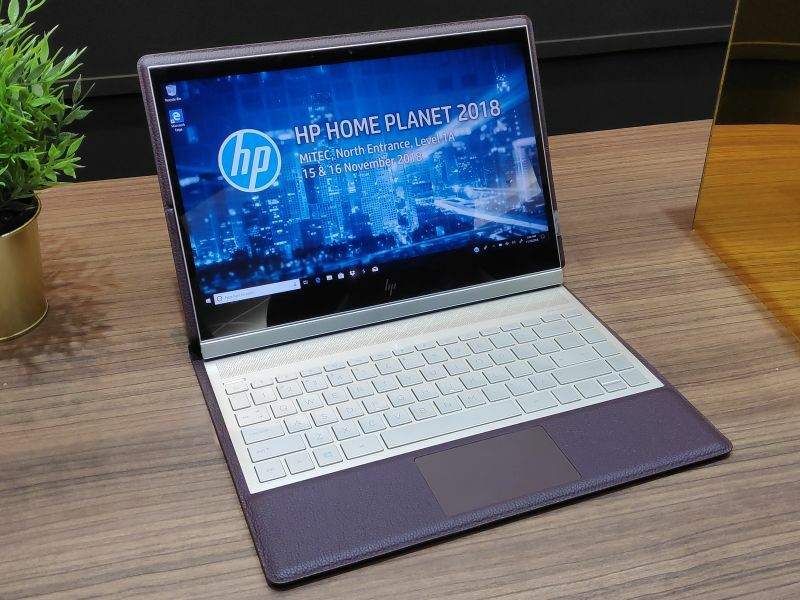 Specs-wise, the notebook can be fitted with up to an 8th generation Intel Core i7-8500Y CPU, 16GB DDR4 RAM, and up to a 2TB SSD. Also, the Folio ships out with a Full HD display as a default configuration, but HP did say that there is an 4K display option. Additionally, the Folio boasts a pretty impressive battery life. 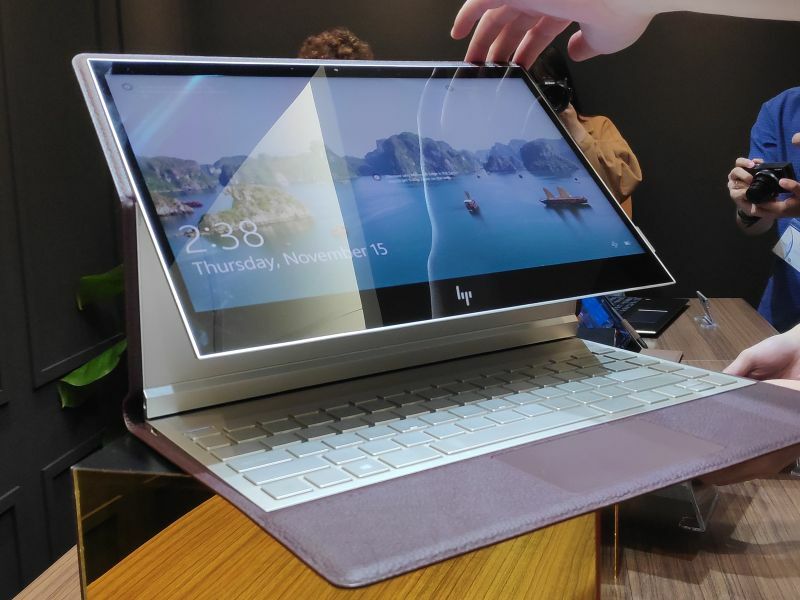 On a single charge, HP says that it will give users a maximum 18 hours of continuous use. That's wildly impressive, considering that the average battery life on most ultrabooks are just starting to traipse around the 12 hour mark. Now, if you're wondering when the Spectre Folio would be available in the country, there is a bit of a catch. 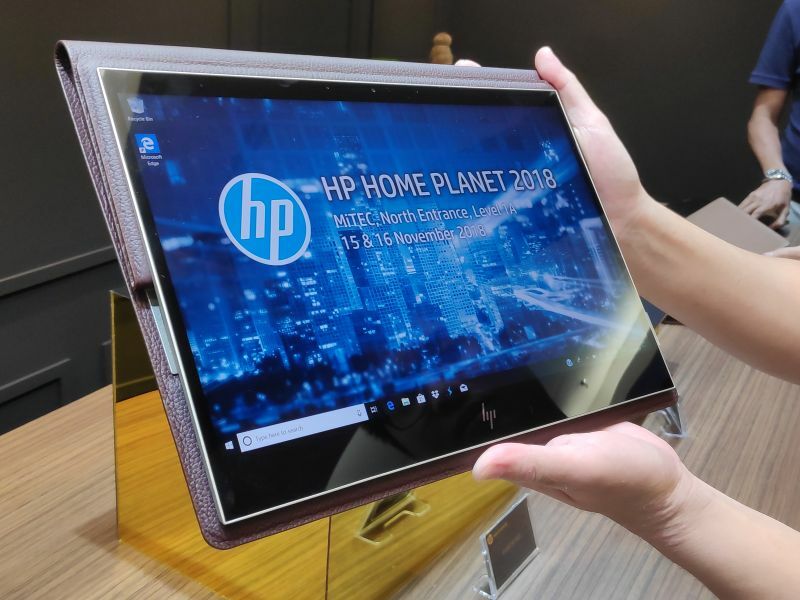 At this point in time, HP says that it still doesn't have a definitive launch date for the Malaysian market. 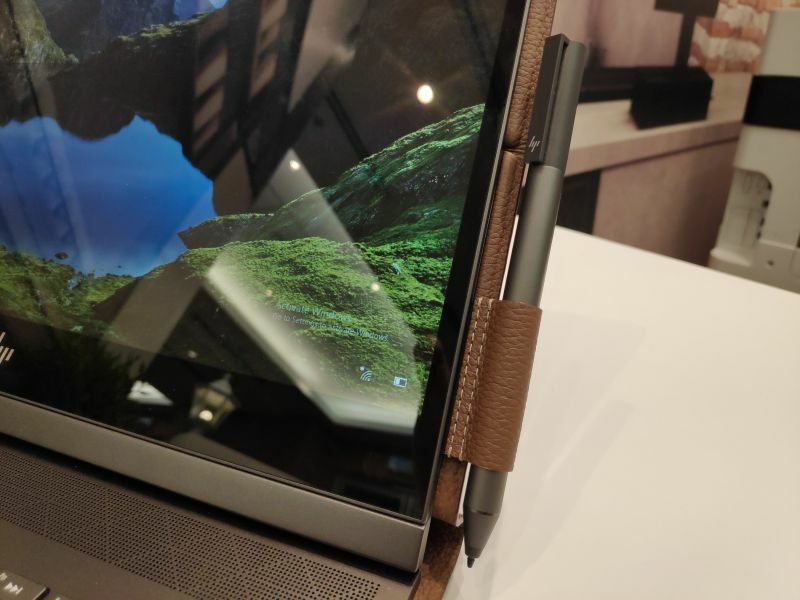 However, the Folio will be making its way down to our neighbor, Singapore, as early as January 2019, and it will retail from a starting SRP of SG$2399 (~RM7234).